The Jedi Temple Archives is a series of posts that will teach you, padawan, how to be a Jedi through everyday skills you can practice to be healthier and more active. This installment is a guest post by Austin King, author of A Scattered Wind and Nimbus: A Steampunk Novel. Austin has written plays, poems, novels, and short fiction, but he spends most of his time making sure his credentials sound more impressive than they really are. Welcome to the Jedi Temple, young padawan. 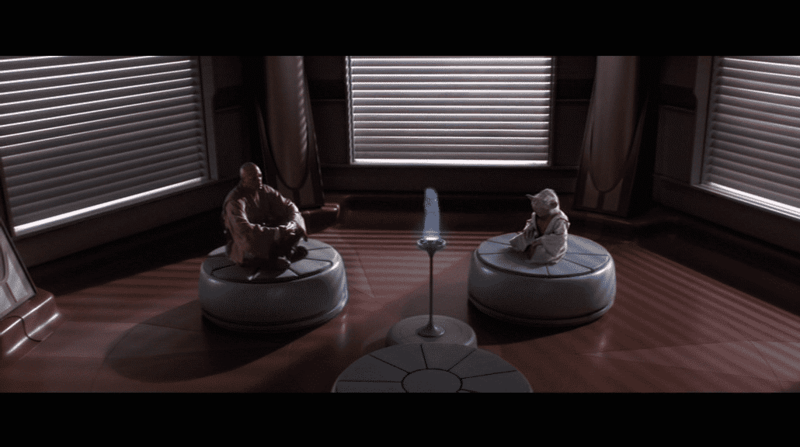 First off, we’ll discuss one of the most foundational aspects of how to be a Jedi: meditation. Every good padawan needs to learn to meditate. 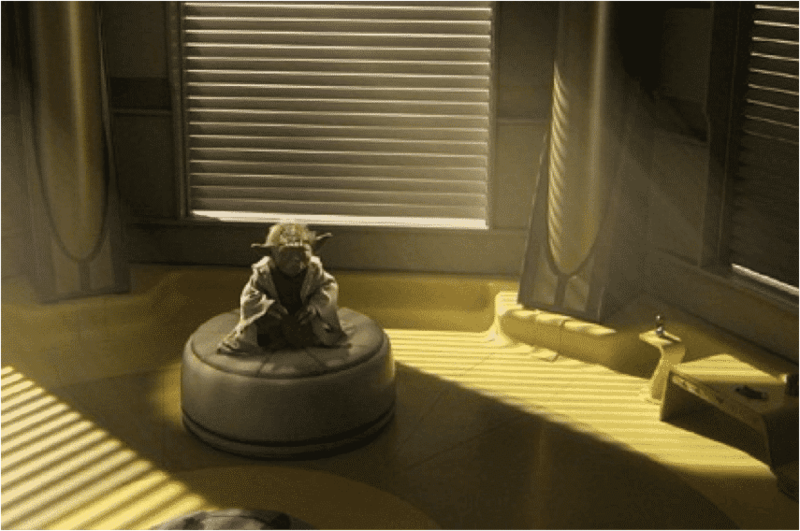 As you progress through your training, you will find that meditation will help you navigate not only the corridors of the Jedi Temple, but your own life as well. 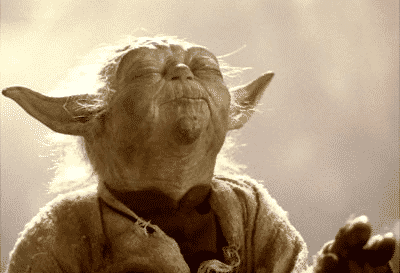 Yoda meditates (and probably does a bit of Yoga Yoga, hah! ), Mace Windu meditates, and even Anakin Skywalker sometimes stops his whining shtick to take some deep breaths and chill out a bit. While it might be useless to try to send messages to your spouse through the Force (believe me, I’ve tried), there are health benefits to saving some time every morning to breathe in, breathe out, and relax. Sitting and listening to your body and learning to deal with the Kowakian monkey(-lizard) mind is an amazing ways to find off the Dark Side. Most doctors seem to recommend twenty minutes of meditation a day, but if you don’t have that much time, even ten minutes could lower your stress. Even five minutes. And lower stress means lower risk of heart disease, mental illness, some cancers, and even chronic pain. Now, this doesn’t mean you have to sit cross-legged and hum while listening to aboriginal music. You don’t have to ommm. You just have to avoid the snap-hiss of a lightsaber. It also doesn’t mean you have to sit in silence. Whenever I meditate, I listen to laidback music (i.e. not Metallica–maybe something by John Williams! ), and I just…well, breathe. Within five minutes, I’m way more relaxed and happier. For some people, however, sitting in silence allows them to more easily commune with the Force. Meditation can be something as simple as sitting in your comfy chair, closing your eyes, and taking deep breaths. You don’t have to sit on a pillow or cross-legged in the floor. Just find yourself a quiet spot in the Jedi Temple of your home and sit there. As long as you’re comfortable, you can still your mind. Before long, you will empty your mind of stresses—work, family, Sith lords, the best way to defeat Kylo Ren and find Luke Skywalker, whatever.. If you’re new to meditating, just keep it simple–concentrate on deep breathing and feel the Force flow through you. It will be hard at first. You will fail. But through that failure, you can begin again and eventually become one with the Force. So welcome to the Jedi Temple, padawan. I can’t wait until you can go through the trials and become a full Jedi Knight. For the moment, though, just take a moment and breathe. Like Master Yoda takes, small steps still get you where you’re going in the end. Try it out, and then let me know how meditating works for you.